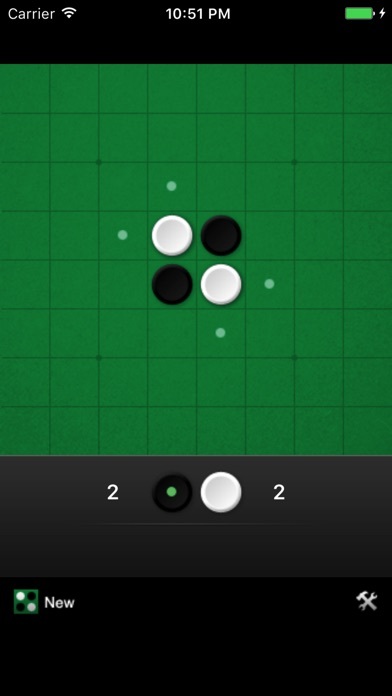 Play the classic strategy game Othello (also known as Reversi) on your iPhone or iPod Touch. The object is to finish the game with more of your pieces on the board than your opponent. 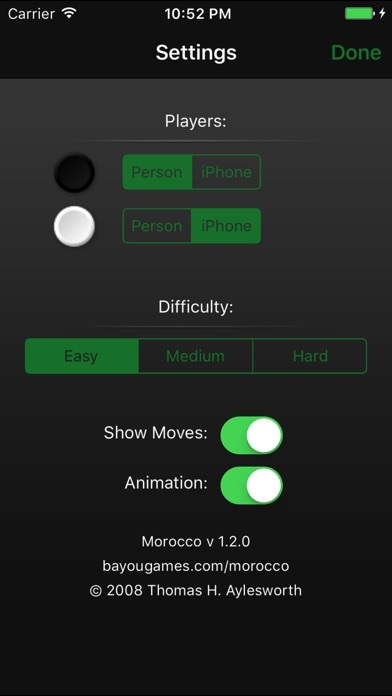 - Play against the iPhone or against another person. - Three difficulty levels allow for casual play while still providing a challenge to experienced players. - Option to show (or hide) the current legal moves. Very useful when learning to play. - Option to turn on or off disc flipping animations. - Automatically saves the game when you leave so you can pick it back up later.